Summer travel brings excitement, adventure, and new experiences. It’s a time to visit family and friends, have fun, and see new places. Unfortunately, travel also comes with its challenges. Digestively speaking, travel is often paired with constipation. Eating different foods, feeling stressed about travel arrangements, poor hydration, lack of exercise, and even anxiety about using public restrooms can all set the stage for sluggish bowels. 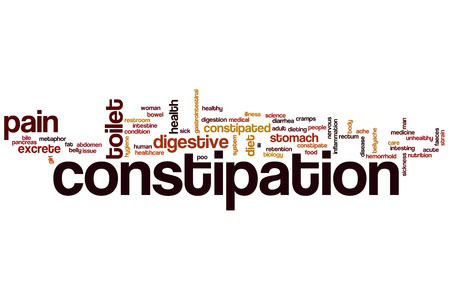 For tips on how to avoid constipation on vacation, read on. What is it about traveling that gives us the green light to eat all the foods we avoid while at home? We order extra desserts and keep plenty of starchy snacks on hand, not once minding the absence of high-fiber vegetables—until our digestion reminds us, that is. Sound familiar? If your eating habits go down the tube when you travel, your best bet is to balance it out with some healthy options. Eat berries with breakfast, add a salad to your lunch and dinner, and have some nuts on hand to snack on. You can still indulge when the time is right, but by working in some high-fiber fruits and vegetables, you won’t crave as many treats and you’ll be less likely to experience the digestive repercussions. You can also give yourself some digestive insurance by eating well in the days and weeks leading up to your travel. No one wants to start a trip off with uncomfortable bathroom visits. With so much activity planned while on vacation, it’s easy to forget to stay hydrated. Yet one of the quickest ways to get constipated is by not drinking enough water. Be sure to drink half your body weight in ounces of water every day—that’s 75 ounces for someone who weighs 150 pounds. It’s more water than you think, and it will go a long way toward keeping your body and your bowels healthy. Carry a water bottle with you wherever you go. That way you can measure your water intake and be sure you’re getting enough. Do you pack extra active wear because you plan to get plenty of exercise while on vacation but then it just sits in your suitcase? Lack of exercise has a big effect on your digestion. If you aren’t moving enough, your bowels may not be either. Make a point to get up and get moving each day, even if it’s just a leisurely walk after dinner. Moving your body will help keep your digestion running smoothly. Vacations are stressful. Airplane travel, long car rides, complicated family members, and unfamiliar spaces all add up to stressful circumstances that bring your digestion to a standstill. You can’t always avoid stress, but you can give yourself some time and space to reboot. Schedule a massage, take a bath, or find a place where you can be alone for a while to relax and regenerate. Digestion is very sensitive to stress, so anything you can do to get some peace and quiet will help your digestive system get back into gear. There is no doubt about it, public restrooms are often unpleasant. Even comfortable yet unfamiliar restrooms can make it more difficult to respond to the call of nature. If you have a hard time moving your bowels in random restrooms, you’re not alone. But holding your bowels for long periods of time is an unhealthy practice that can have a wide range of consequences. With a little practice, you can overcome this challenge. Start by finding a clean and quiet bathroom. Don’t worry about how much time you need. Be ready to stay a while. Relax. Breathe slow and steady. See what happens. It may not work the first time. It may not even work the first ten times. But eventually, you will become more comfortable, and your digestive habits will feel great. Eventually, you can work your way up to less comfortable bathrooms so that you’ll never have to “hold it in” again. There are a few digestive supplements that I never travel without. Bring along a probiotic, a natural laxative, a fiber supplement, and some herbal tea to help you stay regular. A daily probiotic is a must. If you’re not taking one already, begin a week or two before your trip. Probiotics helps balance your gut microbes, which play a major role in the quality of your bowel movements. You will also want to pack an herbal laxative that contains magnesium hydroxide. You’ll find it works like a charm once you’re already constipated. If you have sensitive digestion—constipation one day and loose stool the next—supplementing with fiber can help keep you regular and comfortable during travel. Sipping an herbal laxative tea in the morning or evening is an enjoyable way to stay regular. Pack some Smooth Move tea bags into your suitcase and brew a mug when you feel like you’re getting sluggish. To learn so much more about constipation and overall gut conditions and health check out my book Gut Solutions. Constipation during travel doesn’t have to be the norm. By following my advice above, you can keep your digestion regular no matter where your travels take you. Have a great trip!